Click on the titles below to view our activities in each of these areas in Active Schools. Check out the archive to view our 2016/2017 Active Flag Endeavours. We had a terrific day on 8th June at Three Rock Hockey grounds for our annual sports day. This finished off a wonderful week of activity in school. There was great excitement and the whole day was full of fun. Check out all the action here. We are so proud to have been awarded the Active Flag in June 2017 (Check out our photos on the Active Flag Raising Ceremony page under the Special Events tab). It is a wonderful achievement. 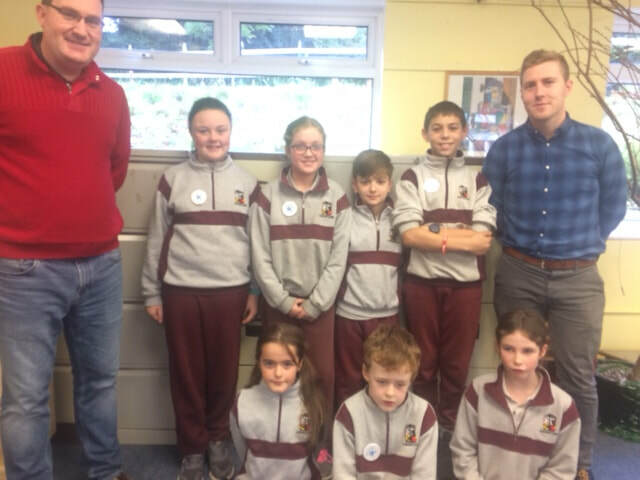 Mr. O'Dwyer and the Active School Committee continue to coordinate all our activities. Every day we have our Active Lines and the classes try to get out and either do a walking circuit of the garden and/or run laps of the shelter. Each class has a target distance to run and we hope to run a marathon this year! We had amazing fun during Active Week - orienteering, athletics, dancing, skipping, GAA, basketball and much more. What an amazing day we had at the Three Rock Hockey Grounds. It’s a great location and the weather was perfect. The emphasis in our sports day is on having fun. Every child is placed on a team and so everyone co-operates together. 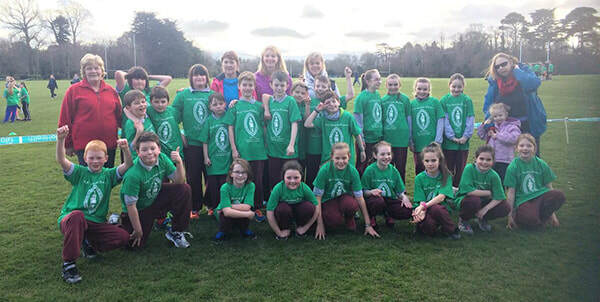 Mrs Cleary’s 3rd and 4th class really enjoyed taking part in the Commemorative run during March 2016. We all got a lovely t-shirt. We had a very long walk down to the park and then we had to run a long way but it was worth it because we really did have great fun. We had a great sense of achievement when we finished. It was hard work walking all the way back to school though! Thanks to all our lovely helpers on the day. 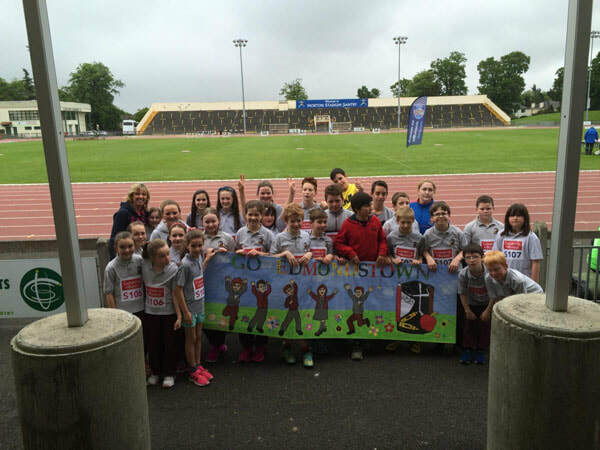 Wow what a terrific time we had on Tuesday 26th of May at Morton Stadium in Santry. We had great fun competing in all the athletics competitions and everyone gave of their best. We didn’t come away with any silverware this year BUT……we entered the competition for the best banner and guess what…..WE WON!!! Thanks Catherine, Mick and Claire for helping us so much with our banner – it looks amazing and everyone at Santry complimented us on it. Thanks so much to Linda who came with us to help supervise on the day – we really appreciate it! Sport plays a huge part in the life of our school. The staff place considerable emphasis on physical activity. This emphasis is clearly visible in the implementation of the prescribed P.E. curriculum. Extra-curricular activities also supplement this focus on the benefits of active participation. 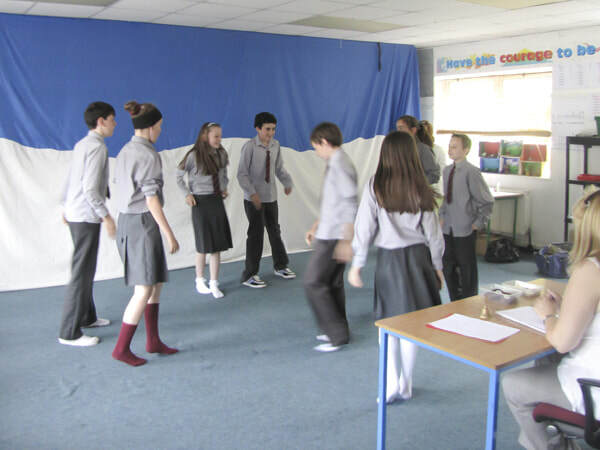 The school also utilises expert coaches in Gaelic football and tag rugby. We have long established links with Ballyboden Wanderers GAA Club (http://www.ballybodenwanderers.com) and use Frank Kelly Park for our home games. 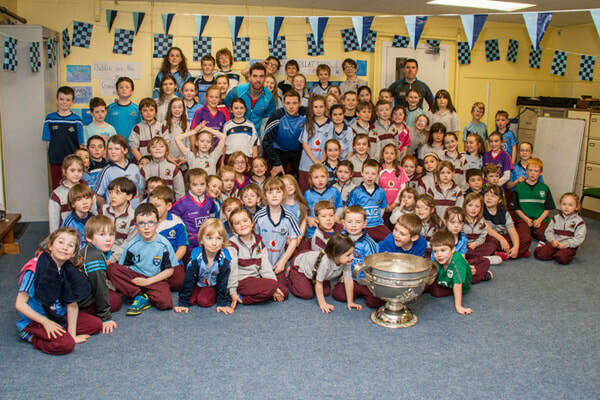 In 2009, for the first time, the school entered separate boys and girls teams in the Cumann na mBunscoil competitions (For more information on Primary School-level Dublin GAA see:www.cnmb.ie). 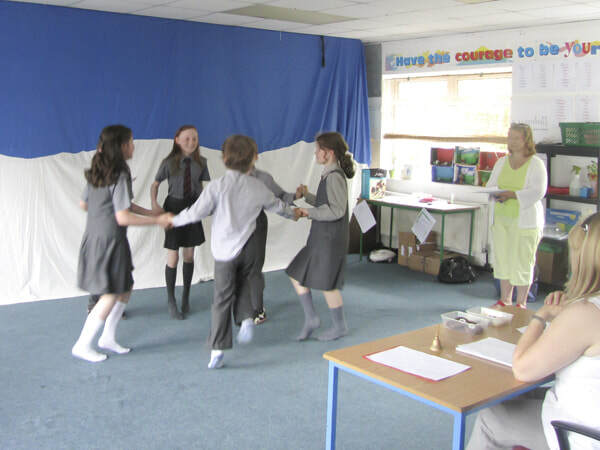 They performed brilliantly and hope to do even better this year. 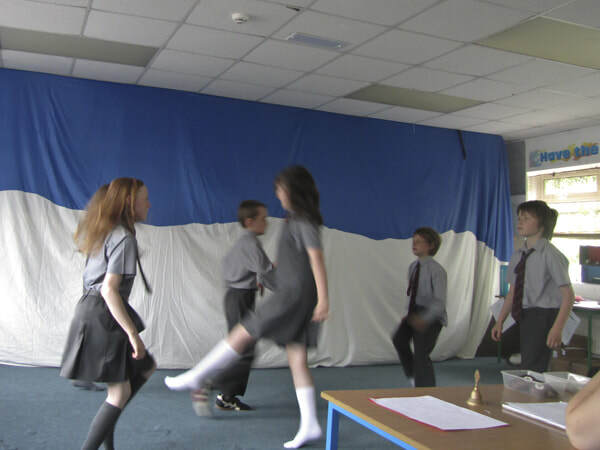 The school also enjoys a fantastic tradition of Irish dancing. 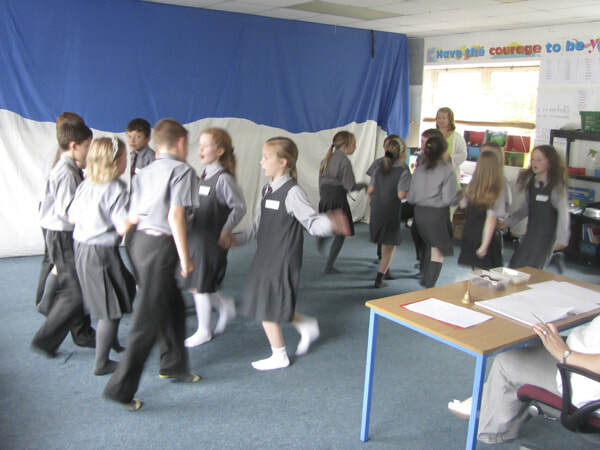 Under the excellent tutelage of Ms. Merrigan, all pupils are taught dancing on a rotating basis for the school year. 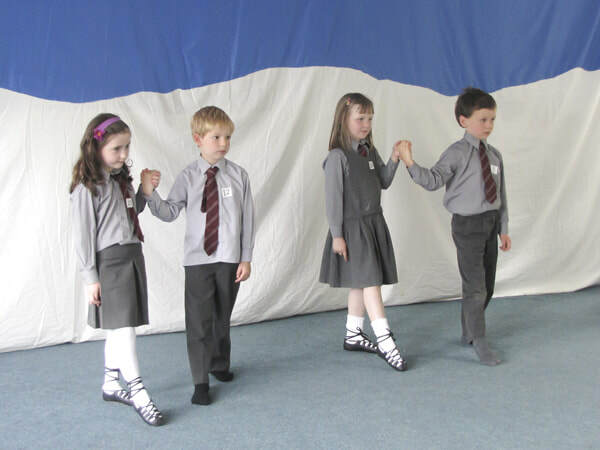 The year’s work culminates with the annual FÉIS where all the pupils, from junior infants to 6th class, display the steps they have learned over the year. This is a hugely enjoyable event for both pupils and parents alike. 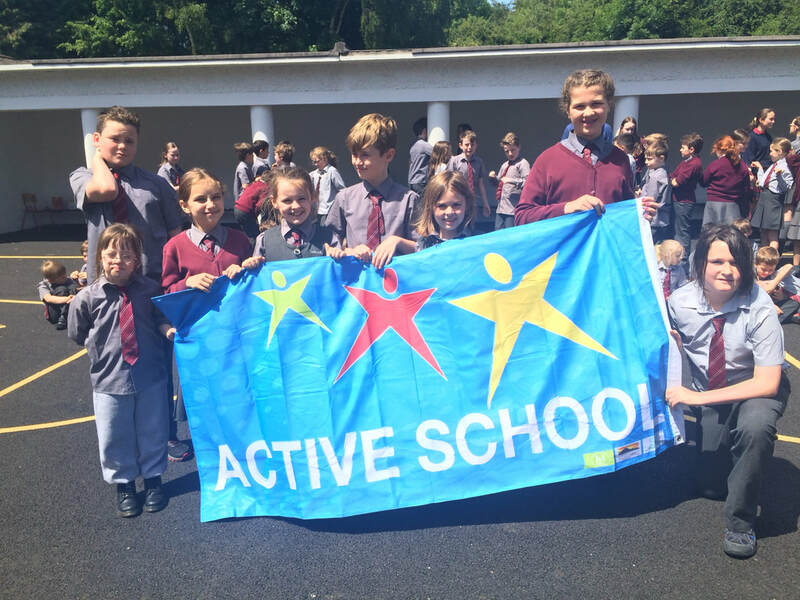 The annual school sports day is held each June at Three Rock Hockey Grounds, Rathfarnham. The emphasis is on participation, teamwork and fun. Sprint races, relays, novelty events and an obstacle course form the core activities of the day. Teams are also rewarded for good sportsmanship and encouragement of other participants. Even the mothers and Fathers take part in their own race!